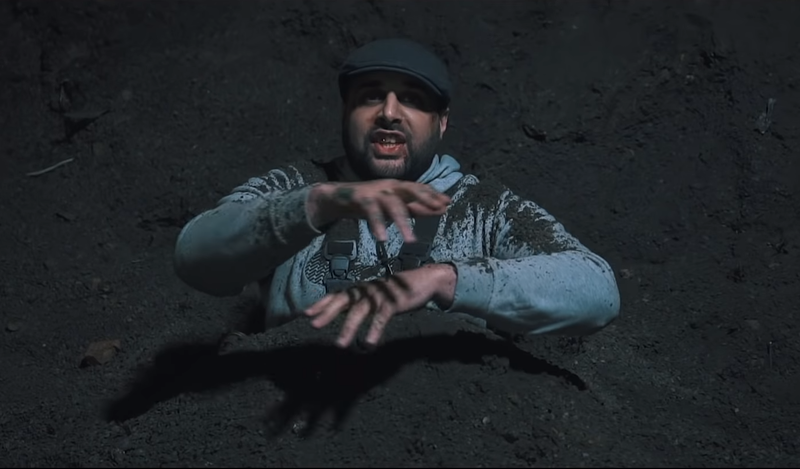 Amidst a flurry of single releases and an official LP drop on March 29th with Icons Only, Grim Sickers teams up with producer Bowzer Boss (and JDZmedia) to deliver some spooky visuals for "Boss Mode". The single for this joint was covered previous by OUAG - see here. The visuals showcased now, are presented in a dark and spooky fashion. We see Sickers as some sort of possessed creature, whilst Bowzer, and an acquaintance, are innocent bystanders to this carnage. Granted, from the jump Bowzer does mash Sickers with a bat and attempt to bury him on sight, but the focus of the track and video is Sickers, and this strange monster within. Overall it's fairly interesting, slightly comical at times and by far much more appealing to watch than a 'same old nice car, nice women' back-drop from today's common music video. A* for effort on the storyboard. Check the music video below, plus his latest project Icons Only. Find Grim Sickers for more updates on Twitter, Instagram, and Facebook; and Bowzer Boss on Twitter, and Instagram.